Robert D. Plumby is an associate with the firm and focuses his practice on corporate law, commercial law, civil litigation, tort law, labor and employment law, collections, debtor/creditor law, and workers? compensation. Rob received his Bachelor of Business Administration Degree from the University of Notre Dame in 2002 where he majored in accountancy. He earned his law degree from the Cleveland-Marshall College of Law, Cleveland State University in 2005. While at Cleveland-Marshall, Rob was a member of the Business Law Association. Prior to his employment with the firm, Rob practiced in Cleveland, Ohio. Rob is admitted to practice in the states of Ohio and West Virginia. He is also admitted to practice before the United States District Courts for the Northern and Southern Districts of West Virginia. Rob is currently seeking admission to the United States District Courts for the Northern and Southern Districts of Ohio. 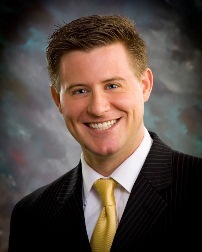 Rob is a member of the West Virginia State Bar, the Ohio State Bar, and the Belmont County Bar Association. Rob resides in St. Clairsville with his wife Kristin and their daughter Alexa.